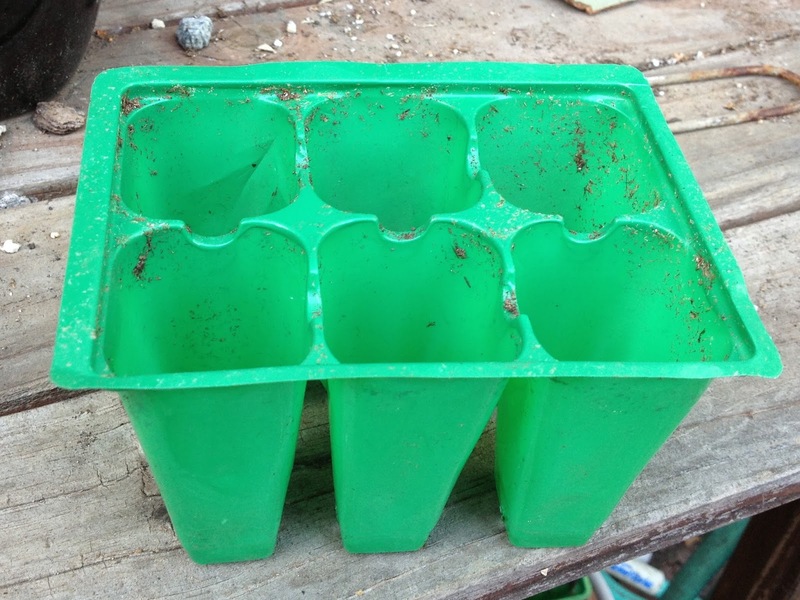 Environmental Sculpturing is coming to the Green Tent on October 6th! 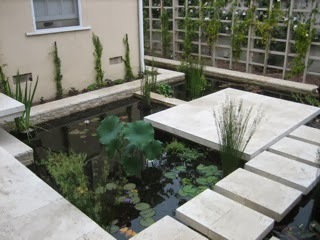 They specialize in biological swimming ponds, an up and coming sustainable pool system. This system utilizes the elements that occur naturally within our ecosystem yielding clean, fresh water. The nitrogen cycle utilized in the biological filter is one that is required by every living thing on earth. Each element incorporated into the bio-filter used by Environmental Sculpturing plays a part in this cycle. They also deal with grey water treatment and rain water catchment systems. The nitrogen cycle in this biological process changes ammonia (NH3) to nitrite (NO2), and then to nitrate (NO3). 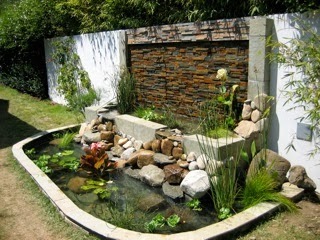 This application of nature’s way can be applied to a koi pond or used as a swimming pond. It can also simply clean an existing pool! Environmental Sculpturing will be bringing a miniature water garden to display the application of natural water treatment. They are there to assist the evolution the commonly practiced methodology regarding, not only the treatment of koi ponds and swimming pools, but sustainable water usage in general. Stop by the Green Tent this Sunday and connect with your local reference librarian! There'll be story times for kids. You can checkout the library’s color-coded service map and pick up brochures and bookmarks featuring old and new library services available to all. No library card? You can pick up an application. Wondering what the Mar Vista Library's hours are? Come find out. Learn why the Mar Vista Branch of the Los Angeles City library system is an important stop on your “living green” journey. 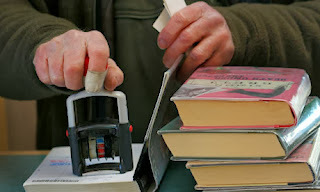 To reduce your spending than to use the library to pick up books, movies, magazines, newspapers, music CDs and audiobooks without spending a dime! To reuse the daily newspaper one section at a time without having to buy the entire paper when all you really need or want is the sports section! To recycle your books, music CDs and audiobooks that have outgrown their usefulness in your home library than to bring them to the library to share with others at the book sale! And the best part is libraries are free. You can sit in a quiet corner all to yourself or attend programs and workshops: musical performances, face painting and crafts, slideshow presentations, lectures. The UC/Cooperative Extension LA County Master Gardeners are back on the 22nd this month (it's the fourth Sunday, really!) and they're bringing seeds and seedlings to give away, along with information about gardening. Bring your questions; they'll have answers! This month, pick up some Monarch butterfly attractors, including milkweed plants and borage, a plant with heirloom clusters of sparkling blue edible flowers. You can also steam the stems and leaves for a unique green that tastes a little like cucumbers. They've planted up some seeds saved by master gardener Dana Morgan, a seed-saving co-founding member of SLOLA (Seed Library of Los Angeles). She shared seeds from her beautiful fava beans, which serve as dinner for both you and your soil. If you wait till the beans grow, you'll have a delicious meal, but if you cut down the stalks just as the plants go to flower, the underground growth will fix nitrogen in your soil. It's compost in the ground! 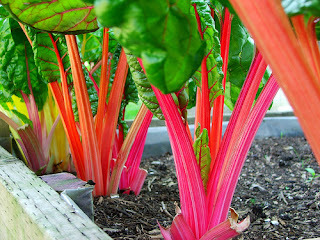 Dana also provided rainbow chard, those brightly colored red and orange stemmed greens that taste great raw, in salads or in smoothies. And she also contributed lacinato (dinosaur, or tuscan black) kale. Speaking of kale, the little curly-tipped Vates Dwarf Blue kale will be available, as will bok choy and some edible flowers, calendula (pot marigolds). PLEASE remember to bring your plastic six packs so the Master Gardeners can plant up another crop for next month's giveaways. 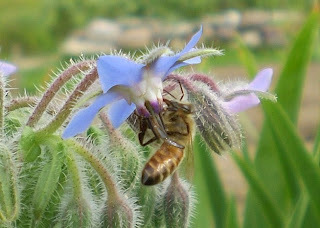 Come plant seeds with the Bloomers! They’re offering a free gardening activity in the spirit of the Bloomers! Schoolyard program this Sunday at the Green Tent. Participants will prepare zip lock baggies that they can decorate with Bloomers! stickers and then tape to a sunlit window once they get home to watch their seeds sprout. There will also be Bloomers! sheets for children to color at the booth or take home to color. The coloring sheets are about the parts of a seed and the parts of a plant. Every participant will also get a subscription code for Bloomers! Island, an online world that rewards players for going outside. The subscription code is good for a free 6 month membership to the Island and gives them access to the full Bloomers! virtual world." The Bloomers! mission is to encourage the healthiest people and healthiest planet possible by engaging children in the magical world of gardening and nature. The organization’s education branch, Bloomers! Schoolyard, is a hands-on gardening and healthy eating program designed specifically for early learners. 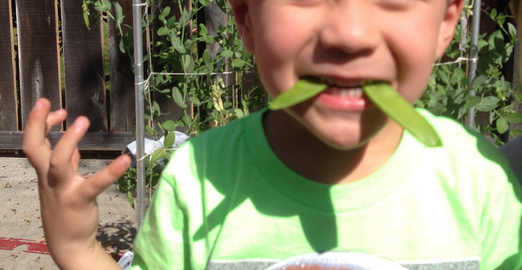 When children grow their own food, they will eat it! Dirt's not a dirty word! Soil contains a special bacterium “Mycobacterium vaccae” that triggers the release of serotonin in the brain. 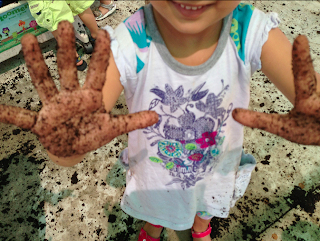 “We want kids to go back outside and get their hands dirty!” is at the core of Bloomers! mission". Since piloting a handful of programs in 2011, Bloomers! Schoolyard has grown immensely with 58 current programs throughout Los Angeles and Orange County. Visit the Bloomers! 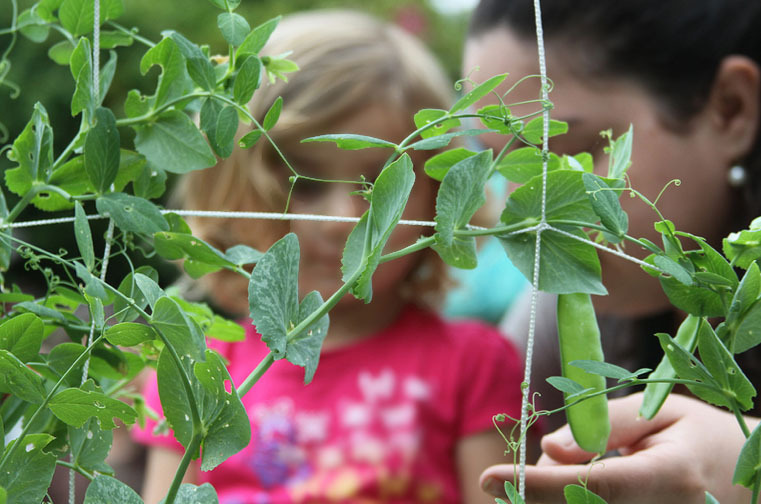 team to learn more and to enjoy a free gardening activity for children. Ever wonder what seafood is sustainable – or how that is determined? What's the scoop on farmed fish? Are there species you should avoid? How are our fish populations doing? Stop by the Green Tent this Sunday for answers to these questions and more. A NOAA (National Oceanic and Atmospheric Administration) Fisheries representative will be on hand to talk about how the federal agency works to ensure that commercial and recreational fishing in U.S. waters is sustainable. 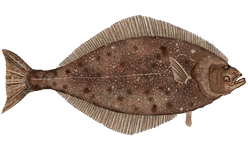 Learn about FIshWatch, a NOAA Fisheries website that provides easy-to-understand science-based facts to help consumers make smart sustainable seafood choices. Through sound science and by working with stakeholders, the Agency implements regulations to keep fish stocks healthy, maintain productive marine ecosystems, support jobs and recreational opportunities, and provide reliable sources of sustainably harvested seafood for U.S. consumers. On the west coast, NOAA Fisheries implements management plans for species such as tuna, swordfish, sardine, groundfish, and salmon, and administers the U.S. Dolphin-Safe Tuna Tracking & Verification Program. For more information visit www.nmfs.noaa.gov.